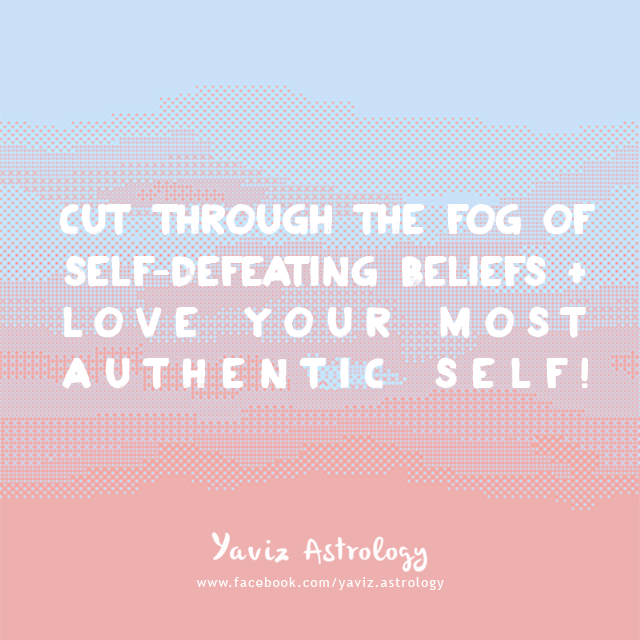 Cut through the fog of self-defeating beliefs and love your most authentic self! With the Moon back in her home sign of Cancer, we bring our attention back to our home life. It can be a great time to get things done as we find new inspirations on how to spend our time more effectively and delightfully at home. Themes of communication are still quite strong with Mercury in Virgo reaching out to Neptune in Pisces, Pluto in Capricorn and Mars in Scorpio, guiding us to think more clearly and speak more honestly from the heart. We have the mental and emotional capacities to see + speak the truth and are able to move forward with new strength and hope. Pay attention to new people that come into our life. We will recognize them by our sense of familiarity, comfort, and safety. Live your light. The Moon is in Leo and it's a time for fun and play! Set aside work for a while if we can. Playfulness, humor and laughter can lift our energy + spirit that we'll return to work with a renewed perspective and heightened energy. Be open to new surprises and insights as the Moon makes a trine to Uranus Rx in Aries. 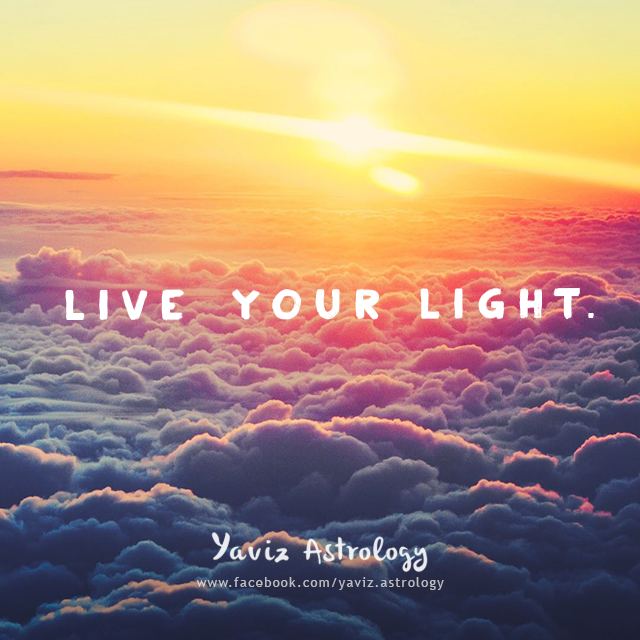 With Jupiter and Venus also in Leo, it's a wonderful time to get in touch with our inner wisdom and light. We know what we can do to get inspired and have more fun and love. Times we spend with family, friends or younger people in our life can provide us with the opportunities to share more of our light and love. The square to Mars and Saturn in Scorpio may give us the uncomfortable feeling of needing to stay more serious and responsible, know that in time we'll get back to whatever it is we ultimately need to do. It's the weekend, after all. What better way to start the week ahead with a bit of fun, laughter and smiles! 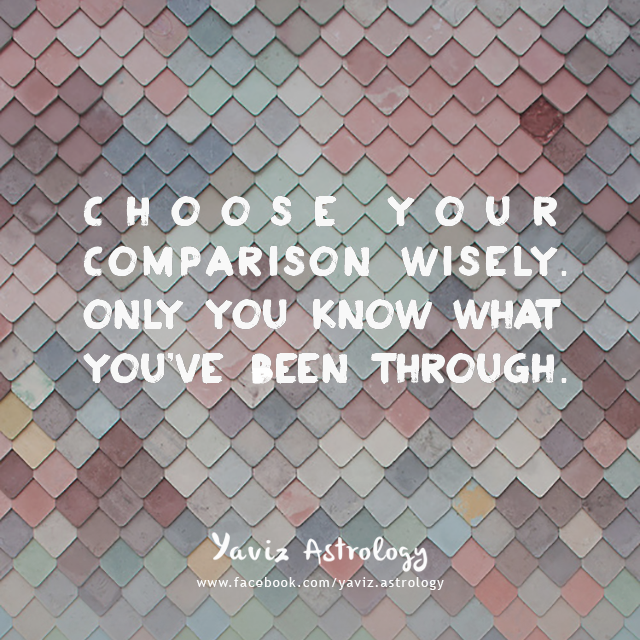 Choose your comparison wisely. Only you know what you've been through. Happy New Moon! The Moon and the Sun are conjunct in Virgo, marking another wonderful time for a new beginning and a fresh start! What we plant and nurture from this day forward can flourish into something beautiful once the Moon becomes full on September 8th in the sign of Pisces. With Mercury also in Virgo harmoniously aspecting Mars and Saturn in Scorpio, we can find the right mental attitude, along with the drive and the will to work things out in our personal and professional lives. We can also come to the grounding realization that everybody is actually going through the same thing, albeit in different ways - and that we are in truth growing and evolving every day. Mars conjunct Saturn is about looking reality straight in the eye. With Venus in Leo squaring them, it can be a great opportunity to draw a clearer line between what we want vs. what we don't want, what we like vs. what we don't like. And then start taking better care of the finer details in our life, whether regarding health, work, finances, love and relationships. From there, we can move forward with stronger convictions and a better sense of self and reality. Know that the changes we are currently experiencing are guided by our newborn willingness to open our heart to life's deeper wisdom and divine timing.